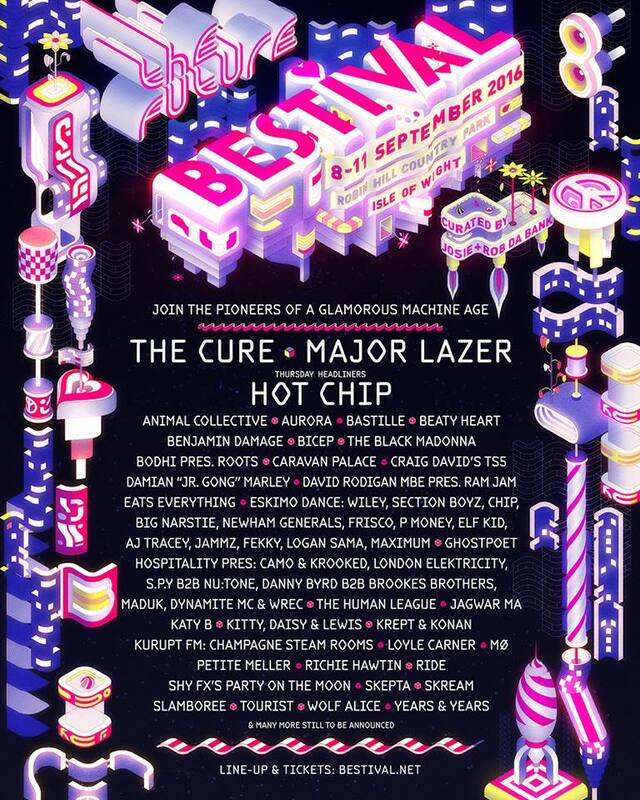 The Cure, Hot Chip and Major Lazer have been confirmed as headliners for this summer’s Bestival, following the announcement of the first waves of acts across the Isle of Wight weekender. The reveal, which coincides one day after Bestival’s ‘future theme’ unveiling, also leaves a slot for one more headliner, which is expected to be announced in the coming months. Kurupt FM will also be returning to Robin Hill Park this summer for the second year running, as will Skepta, Craig David’s TS5 and Big Narstie, whilst you can also expect to see Katy B, Years and Years, Tourist and more over Bestival’s four-day stint. Excitingly, Bestival 2016 will also see the debut of Wiley’s Eskimo Dance rave, so expect to see the likes of the ‘godfather of grime’ himself, plus Chip, Frisco, Newham Generals and more.